KJ clan is now PSISTORM.com ! Our next showmatch event on August 22, Friday 11pm Eastern, is against pro player InControl, 12 time Grand Master Protoss, competes professionally as well as casts games. There are 5 spots for 6 games. If we have more than 5 players, we will have internal tourney to determine top 5. 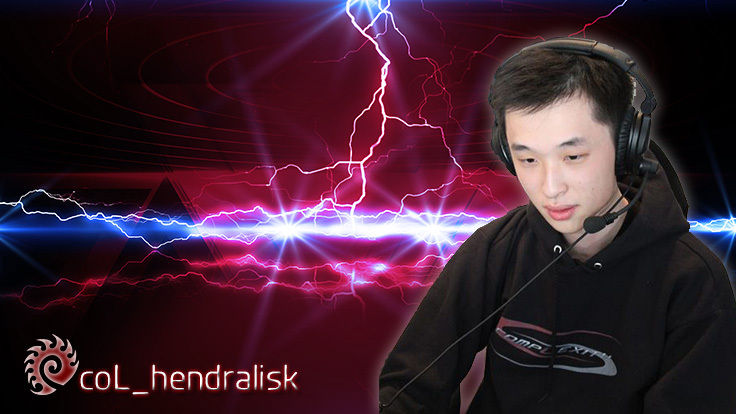 Next Friday, July 25, 11pm US Eastern we'll have 3 of the [KJ] clans players play against professional zerg player, Complexity's Hendralisk! He's currently ranked #133 in the world. Our best Terran, Zerg and Protoss will have fun playing against a Pro. While none of them are close to GrandMaster level and lets be honest has no shot of winning, this will be a fun experience for them. It's like playing basketball against an NBA player, you won't win but it will be fun to get your shots blocked almost every attempt! This is open to any of our other clan members (must have the [KJ] tag) that want to play let us know you just have to beat the 3 players above for the right (bo3) to play against the pro. But if no challengers, it will be those 3 chosen. just some notes while studying this matchup in Heart of the Swarm season 19 ladder. This week 10 game between Josef and HurtnTime has the most amazing play of the season for Starcraft 2 league. [IPT]Enderr vs [KJ]Freeedom showmatch videos are up! Now for those that have missed the games, here are they in chronological order, and no spoilers here yet so u can enjoy the action. Casted by FilthyRake and mieubrisse!